Between 1787 and 1799, France passed through a period that would change the future of the country completely, an event that became known as the French Revolution, in which the main stage was Paris. The dissatisfaction of the population fed by Enlightenment ideas, gave room to an uprising that redesigned the country’s political scenario, overthrowing a centuries-old absolute monarchy. The French Revolution was marked by a bloody period called Reign of Terror, where an estimative of 18,000 to 40,000 people were killed by means of the guillotine, by the hands of the revolutionary army, including the royal family and even important figures in the revolution like Georges Danton. Despite the fact that it took place more than 200 years ago, many French Revolution buildings are still present nowadays to silently tell us the stories of this bloody yet important period of France, and most of them can be visited in Paris if you have some time in the city. Built in 1633, it used to be the official residence of the royal family until the Palace of Versailles was built. On the eve of the revolution, its gardens served as the stage for Camille Desmoulins, a journalist, and politician of the time, he climbed on a table to the Cafe du Foy and called the people to arms. Two days later the Bastille was stormed. 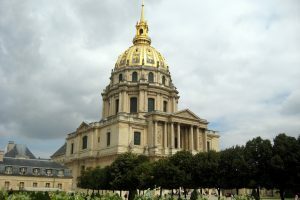 Built as a hospital for wounded soldiers, by Louis XIV, it is known nowadays as the War Museum, it was stormed by several thousand men on the morning of 14 July, who plundered its armories before heading to the Bastille. Nowadays it is a museum where you can visit see items related to wars as well as tombs of important figures mostly related to the wars as well. One of the most important pieces of the museum is the tomb of Napoleon. This used to be the place where the Bastille prison, a famous prison fortress during the French Revolution, stood until the “Storming of the Bastille” event, where a confrontation between civilians and the old Regime took place in the afternoon of 14 July of 1789. The Bastille was totally destroyed during the Revolution and nothing remains of the old building. The Storming of the Bastille marks the start of the French Revolution, and despite the fact that it only contained seven inmates in the time of the storming, it was a symbol of abuse by the monarchy. In its place now, stands the July Column that commemorates the July Revolution of 1830. 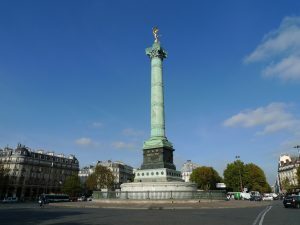 Nowadays the Place de la Bastille is a symbol of the leftists in Paris. 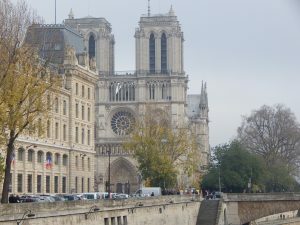 During the French Revolution, Notre Dame suffered sacking, pillaging, and destruction. 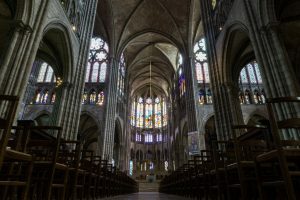 With the rise of the Enlightenment ideas and the dechristianization of the French population, Notre Dame officially became the ‘Temple of Reason’ and then was used as a wine storehouse. Completed in 1751, Versailles became the official residence of the French royal family in 1682, when King Louis XIV moved to the palace, until the French Revolution. It was here that King Louis XVI and Queen Marie Antoinette used to live until 1789 when they were stripped of power and brought to the Tuileries Palace, in Paris, and ultimately beheaded. Tuileries Garden is what is left of the old Tuileries Palace, the palace was burned and destroyed in 1871 by the Paris Commune. However, in 1789, during the French Revolution, it was here that the royal family was brought to from Versailles and held under surveillance until they were transferred to the Temple and later publically killed. Nowadays the Jardin des Tuileries is the charming garden in front of the Louvre Museum. 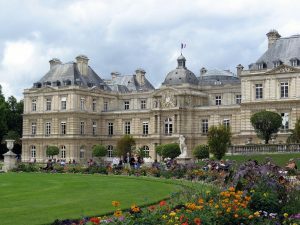 During the Revolution, the Luxembourg Palace was transformed into a prison. Major figures of the Revolution were detained here, like Danton and Camille Desmoulins (the instigator of the French revolution) in March 1794. 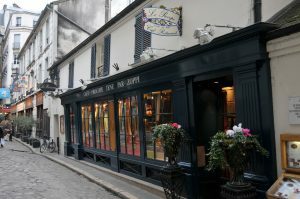 Opened in 1686, this is the oldest Café in Paris. Considered nowadays a historic monument of the city, Le Procope Cafe still preserves its interior authentic. During the years the cafe received many remarkable guests, like Napoleon, Voltaire, Rousseau and Benjamin Franklin. The cafe keeps some interesting items like Napoleon’s hat and the last letter from Marie Antoinette to Louis XV. It is believed that this was the place where Marie Antoinette’s death warrant was signed. 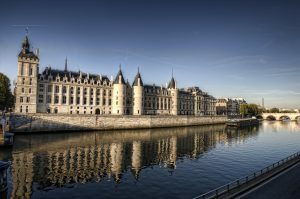 The building was part of a complex called Palais de Justice, originally a royal palace. It was turned into a prison during the French Revolution. More than 2.600 prisoners were tried here, including Marie Antoinette, who was brought here from the Temple on August 1st, 1793, and separated from her children. Danton was also held here. Nowadays it is a museum, the cell where Marie Antoinette was held was reconstructed and you can have a feeling of how it was like when she was here. 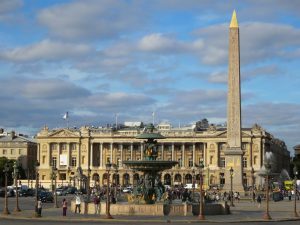 Originally called Place Louis XV, it was renamed “Place de la Révolution” during the French Revolution and later called “Concorde” to symbolize the reconciliation after the Revolution. It was here that the guillotine stood, and where many famous figures of the French Revolution were executed including Marie Antoinette, Louis XVI, and Danton. Nowadays, in the center of the square you can find a board on the floor marking the exact location of the guillotine and a list with the names of its victims. Created as a way to solve the issue with the overpopulation of Parisian cemeteries and the closure of the Cemetery of Innocent. 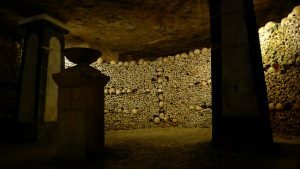 Around six million human skeletons are kept in the Catacombs including many skeletons of those who died in the several riots during the French Revolution. The last home of the royal family. The abbey is known as the royal necropolis as it keeps the remains of many monarchs. During the French Revolution though, many bodies were removed by protesters to celebrate the Revolution. Louis XVI and Maria Antoinette were initially buried in the churchyard of the Madeleine, but the few remains of the king and queen were found and brought to St Denis in 1815. A building that houses the city’s local administration. Back in the time of the French Revolution, it used to be the headquarter of the Paris Commune, where Robespierre and his supporters used to gather. It was here that Robespierre was arrested, after years of the Reign of Terror. 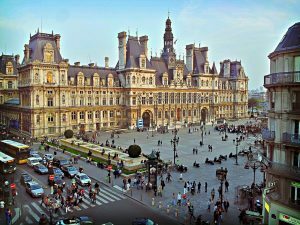 Paris has more than 130 museums, but if you want to know more about the French Revolution, this is the place, the Musée Carnavalet is dedicated to the history of Paris and its inhabitants. It contains many interesting pieces dated back to the French Revolution, including paintings and portraits as well as belongings of Marie Antoinette and the paper on which Robespierre partially wrote his signature when he was seized by soldiers. Oh I’ve thoroughly enjoyed this post! 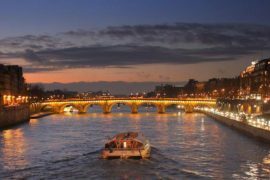 I love this unique perspective on Paris and the history behind all these places! 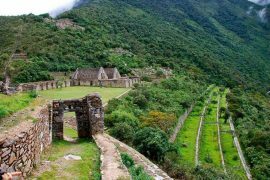 Sometimes these very spots get so touristy, I feel the history gets lost, so thank you for putting this post together! will be visiting Paris next year on the way to Iceland. The post gave me goosebumps. 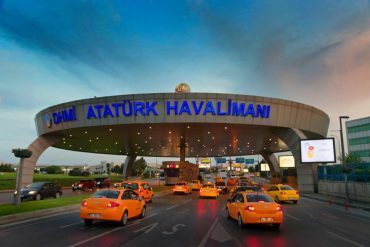 This is the land the birthplace of democracy and to think of spending time at the feet of those marvellous monuments makes me high! Beautiful and informative post. Thanks for the share. Definitely! JIt is insane to think about all the history those monuments and buildings have behind them! I hope you enjoy your staying in the city as much as I did! I love Paris and got to visit some of these when I was there last year. Will definitely be returning to visit more. I’ve never been to Paris, but dying to go! I am completely obsessed with learning about history, and I just know I will love it! Your photos are amazing by the way! Very informative and nicely collated! Great post! 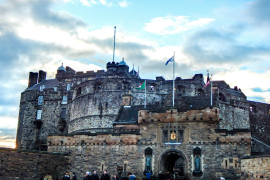 I’ve been to a few of those places but didn’t know all the history, now I do! I really enjoyed reading this post ! I’m a huge history buff so this is definitely something that caught my interest. I can’t wait to add some of these to my list to visit ! Wow I had no idea about all these places! I’ve been to a few but next time I go, I want to visit the cafe!!! Thanks for your interesting post! When I think about Paris, my thoughts go immediately to food! 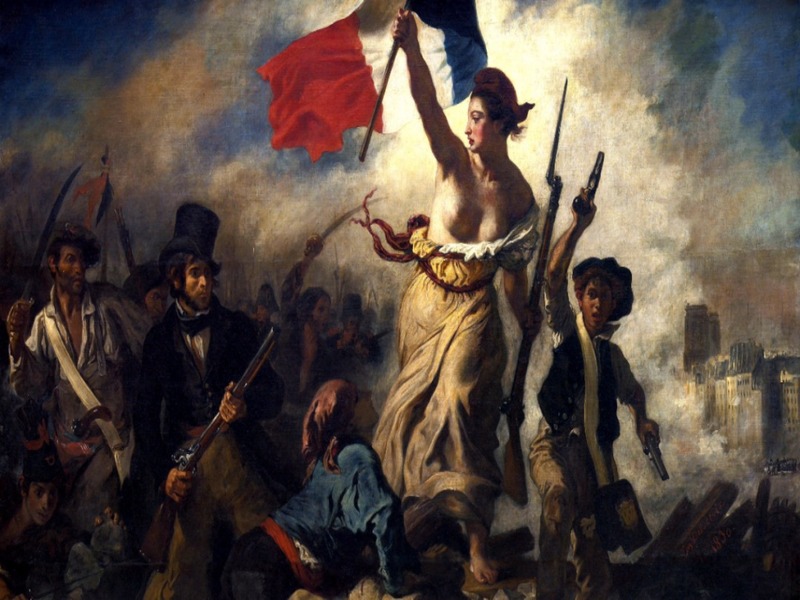 This post is a great insider into the French revolution. Would love to go back for a visit knowing all these facts!